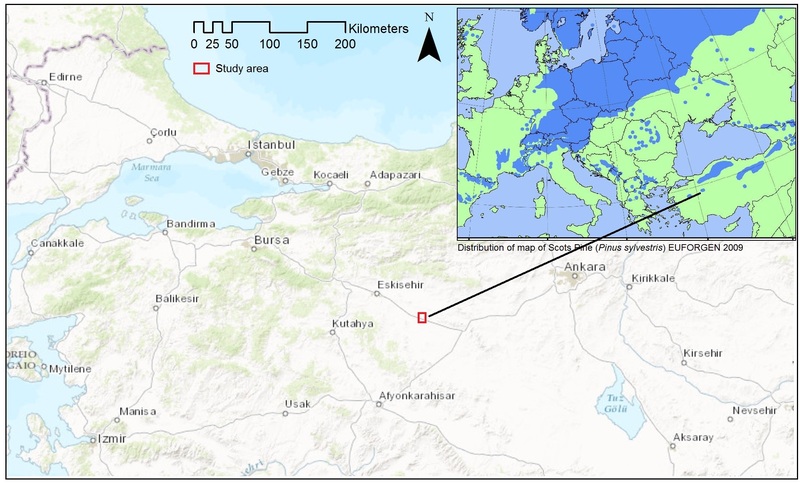 The study was undertaken in Scots pine shelterwood forests in central Anatolia at the edge of the Eurasian distribution of Scots pine and thus adding significance in terms of understanding the ecology of this important species. 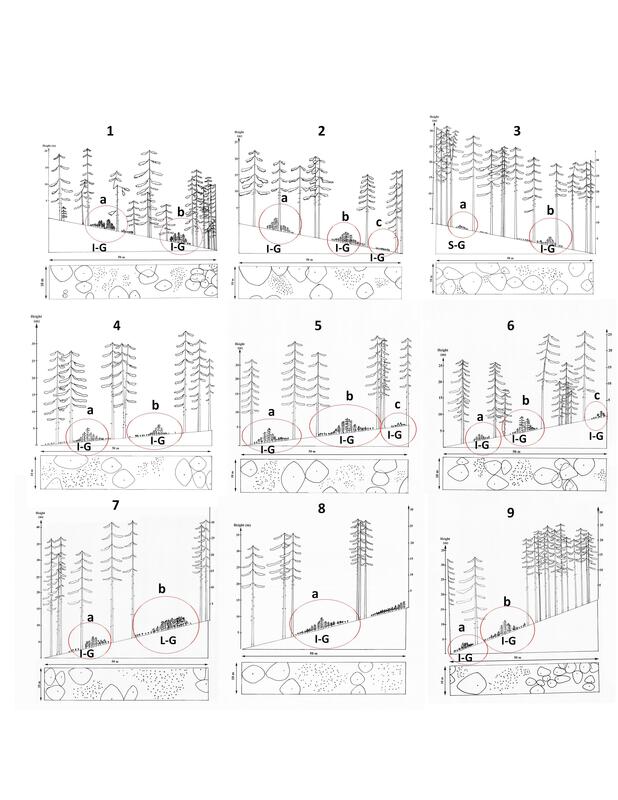 Canopy gap size and the position of the sapling within the regeneration cores were chosen within 9 different strip-sample plots comprising 20 sapling regeneration cores. Those sapling regeneration cores under the gaps were divided into two portions (individuals at the edge and middle of the regeneration cores) and from each portion three individuals were selected. The growth relationships of individual saplings within the regeneration cores were determined from the age-height graph of 95 sapling-stem analyses. Gap-size classes that compromise a gap size gradient were chosen: small gaps (< 20 m2); intermediate gaps (20 - 177 m2); large gaps (178 - 707 m2). 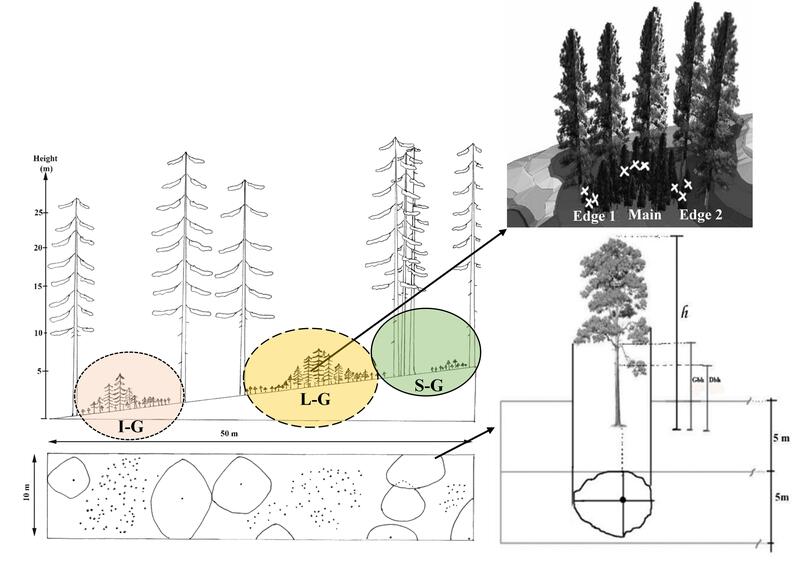 Spatial structure of mature trees were determined using the Clark-Evans index. In addition, differentiation index (diameter, height, crown lenght, and crown radius) were calculated for each stand projections. Gaps with sapling regeneration cores ranged from 15 to 240 m2, with a mean of 91.55 ± 23.69 m2 by Student’s t-test (p = 0.05). The maximal gap-size classes were found in the intermediate (90%), followed by large (5%) and small (5%). Compared with saplings in the middle of regeneration cores, those at the edge were always reduced in terms of mean height. Significant difference was found between the ‘Main crop’ and the ‘Edges 1-2’ of the regeneration cores. There was no significant difference for sapling age in regeneration cores. Fraction of land area in gap regeneration cores was found between 20 and 66% of total stand area. 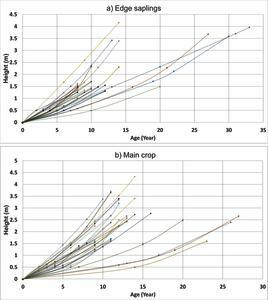 The age-height graph of 95 sapling-stems derived from stem analyses showed that the saplings grow very well without any obvious deceleration in the gaps. 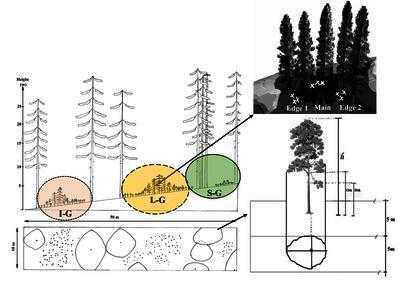 These findings can further inform forest managers about how to optimize growth of sapling by means of canopy gap regulation. 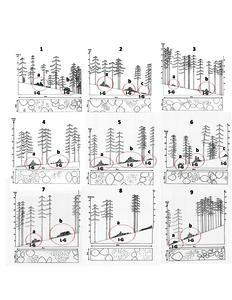 The results are discussed in the context of future silvicultural modelling and new ways of assessing forest regeneration dynamics when gap-regeneration is important.